The first time I visited Mammoth Caves National Park I was 20 years old and in a U-haul – moving from Massachusetts to Southern California. As I’d never driven across country before, and as we had the U-Haul for 12 days, I’d planned out an adventure linking together several National Parks and Monuments. 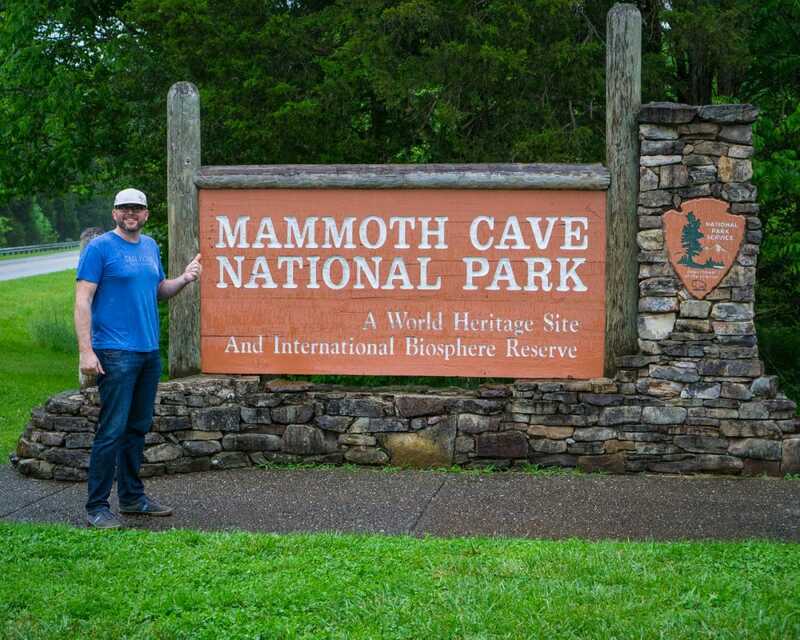 We arrived at Mammoth Caves on day 2 and liked it so much that we stayed 3 nights! 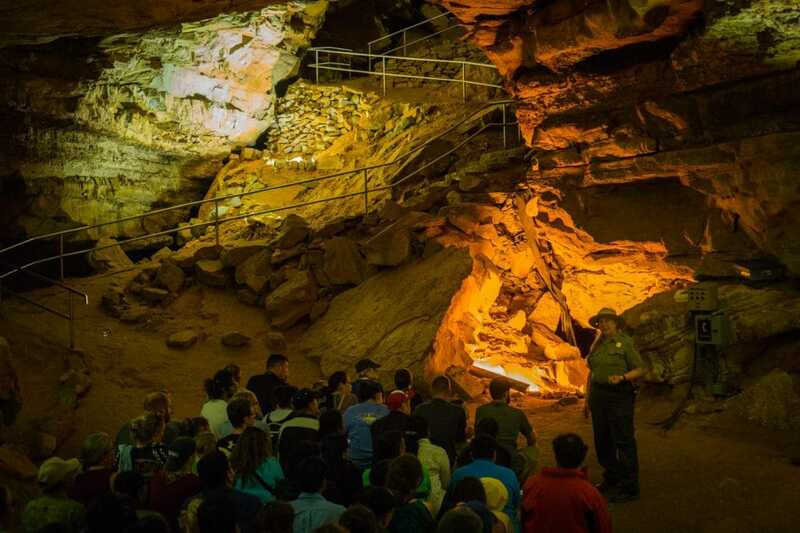 One of the highlights of the visit (of course) was touring Mammoth Caves itself. 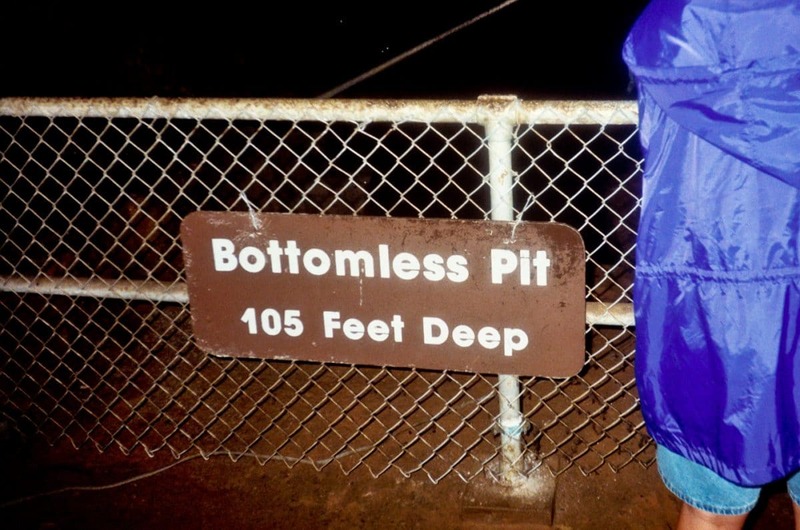 We did the Extended Historic Tour, which included the natural entrance to the cave, the Mammoth Dome, and the ‘Bottomless Pit’ at 105 feet deep. 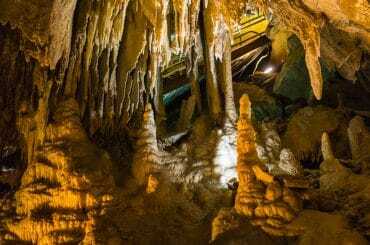 We intended to visit the caves again and do several other tours, but it ended up taking 20 years before we returned to Mammoth Caves National Park. 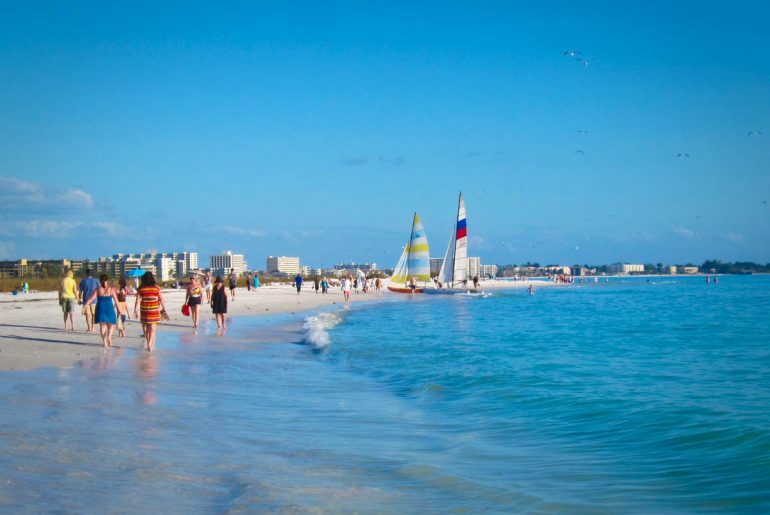 As full-time RVers we spent several winters in Florida, but had yet to drive north on an inland route. 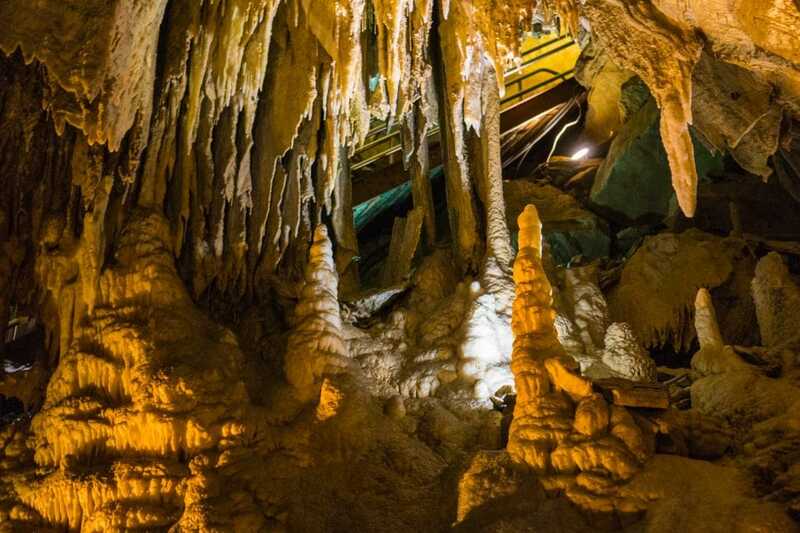 If you winter in Florida and make plans to do the Michigan Upper Peninsula one summer, then Mammoth Caves is a perfect stopover in the spring. 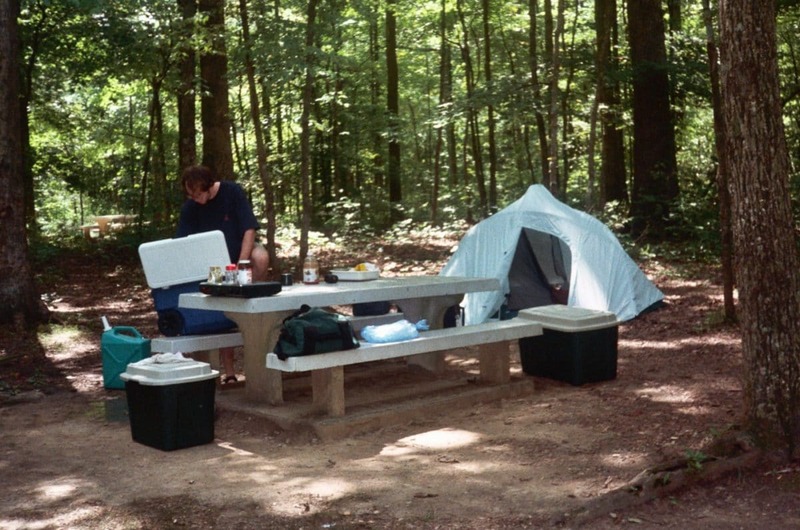 It’s easily accessible and just off i65 between Nashville TN and Louisville KY.
Mammoth Caves National Park also gets my vote as the best spring camping (RV and otherwise) destination. This area gets the most visitation in the Summer when it’s hot and humid – but the weather is absolutely perfect in late April and May (now! ), and that’s when I’d recommend that you visit. 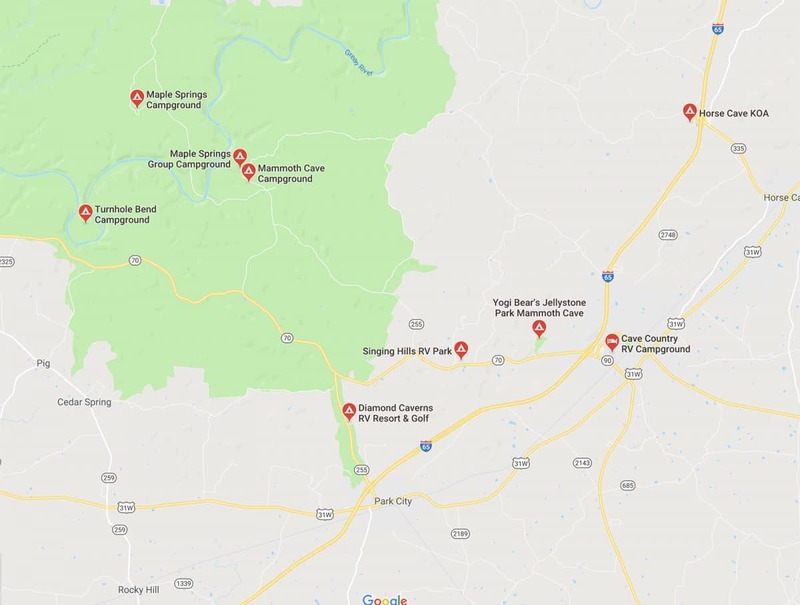 If you have a Thousand Trails membership (more on the benefits of Campground Memberships in a future post), then staying at Diamond Caverns RV Resort (& Golf) is a no brainer. It’s a membership campground, but it is open to the public, so you can stay there even without a membership. Of course if you do have a membership the price is too good to pass up (it’s free/included). We have a Thousand Trails membership, so stayed for a full 28 days (we normally get 3 weeks, but get 2 extra weeks 2x a year). The park is excellent and well taken care of, and the staff exhibits the rumored southern hospitality in spades. If possible request a site up in the back of the park. The sites in the front have a lot more visitors coming and going, and they’re fairly close to each other. 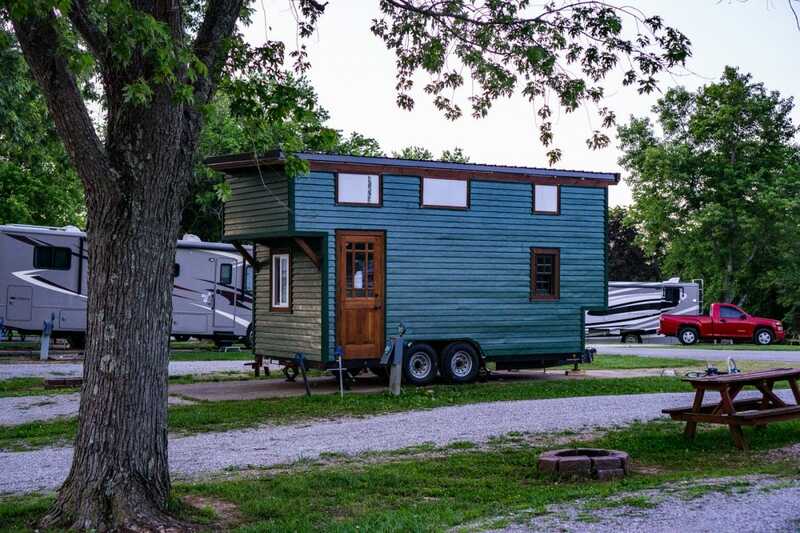 Unique ‘RV’ Tiny House – shows how close the sites are up front. The one drawback to membership parks is they tend to be expensive for non-members (~$46/night as of this posting). I checked out Singing Hills RV Park nearby, and it’s a little bit less expensive and still a very nice park (~$40/night). I was less impressed with the other RV Parks in the area. 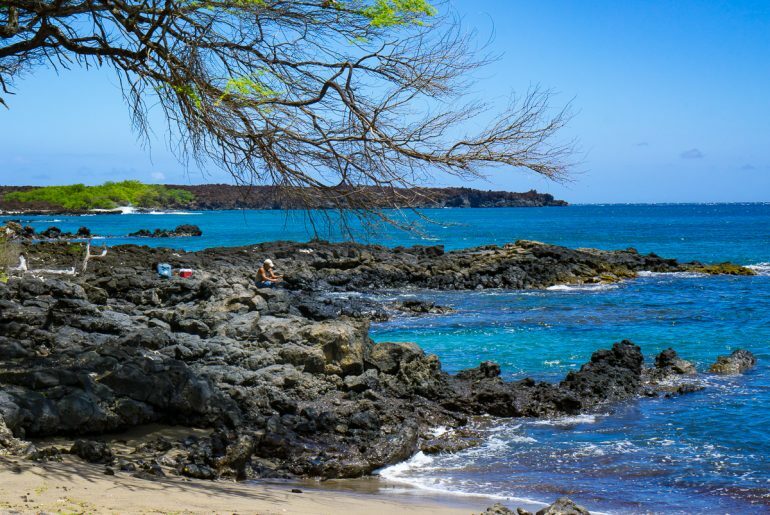 They were close to the roads (and road noise) and sites were very near each other, and the prices were the same – or in the case of the KOA, much higher. 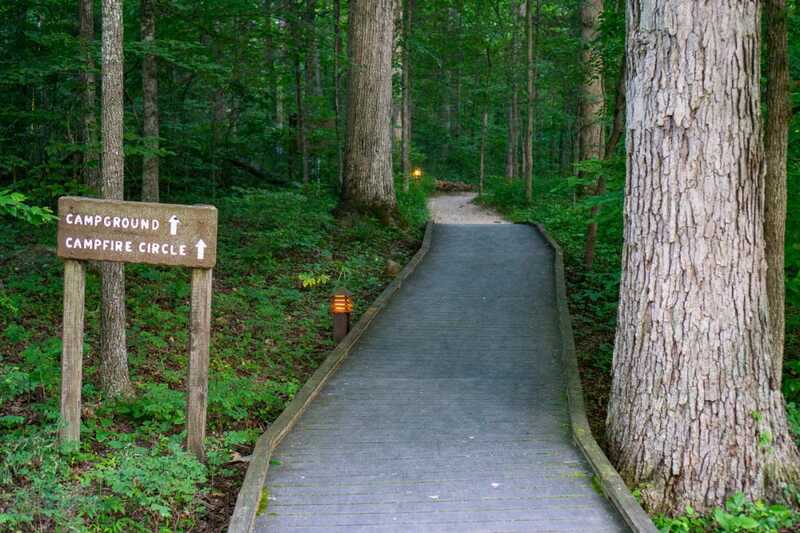 I’d rather be in the woods, and Diamond Caverns RV Park has plenty of that. 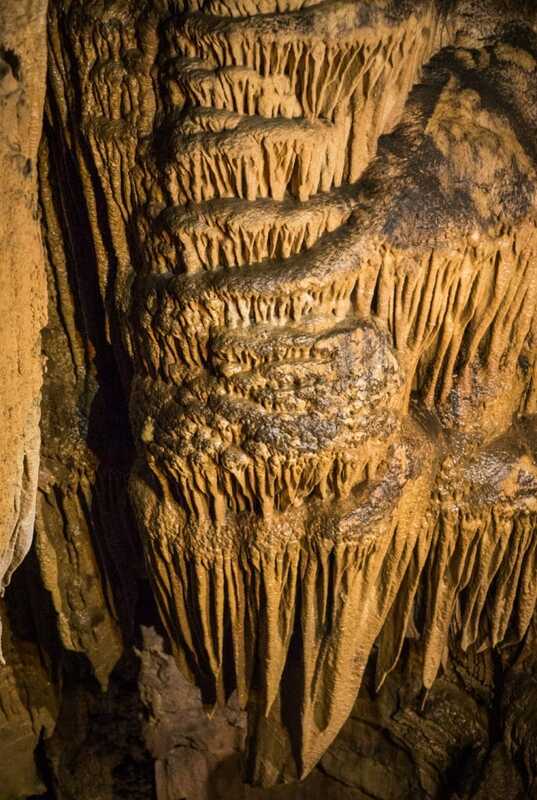 Also – it’s right on the Mammoth Caves Bike and Hike Rail Trail, and it’s on National Park land. Hands down I’d recommend staying at the national park campgrounds (pictured above). The campgrounds in the park are nicely spaced out and have bathrooms and access to showers. 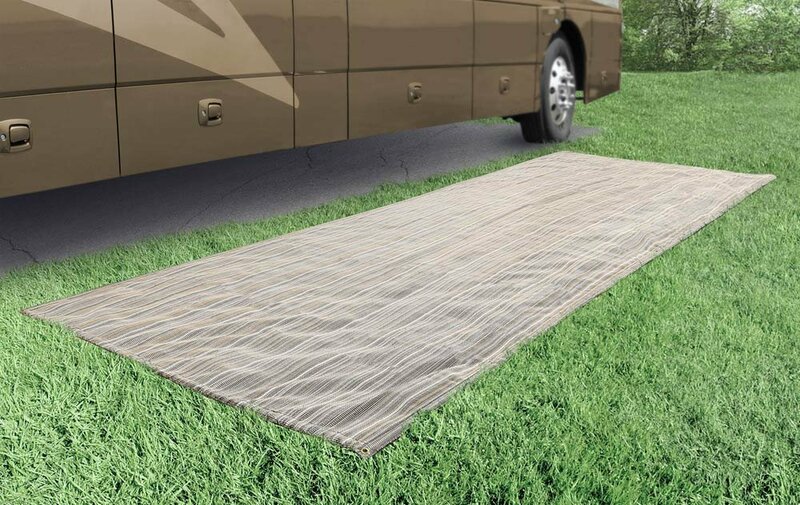 You really can’t go wrong – however there are no RV hookups, so if you bring your Class B or C RV into the park, you’ll be boondocking. Also, the main campgrounds are very well shaded, so solar panels won’t do you much good. 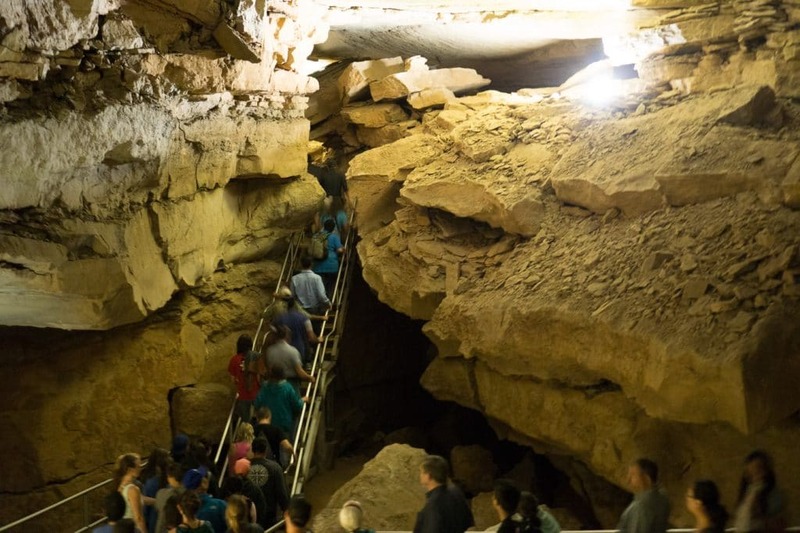 The middle of the park has poor cell-phone reception as well – so if you have to work (as I do), then check out Diamond Caverns or Singing Hill. 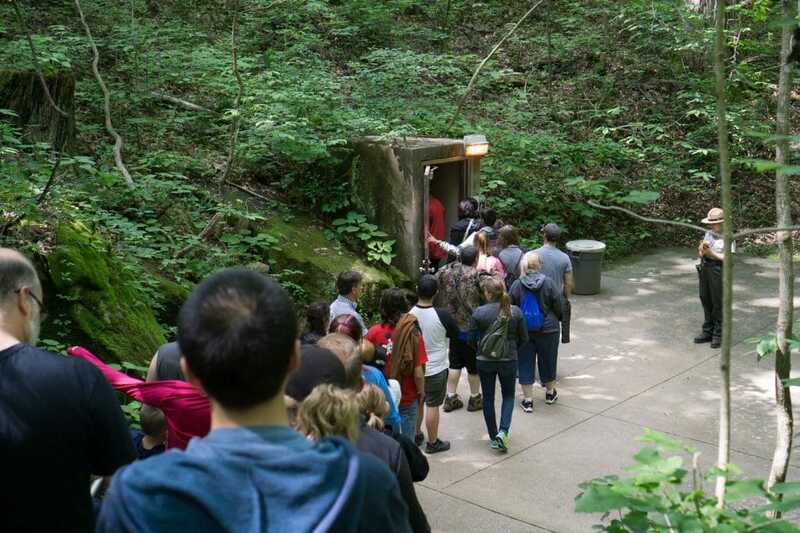 While Mammoth Caves itself is very impressive and well-worth exploring, I liked and enjoyed the above ground part of the park nearly as much. 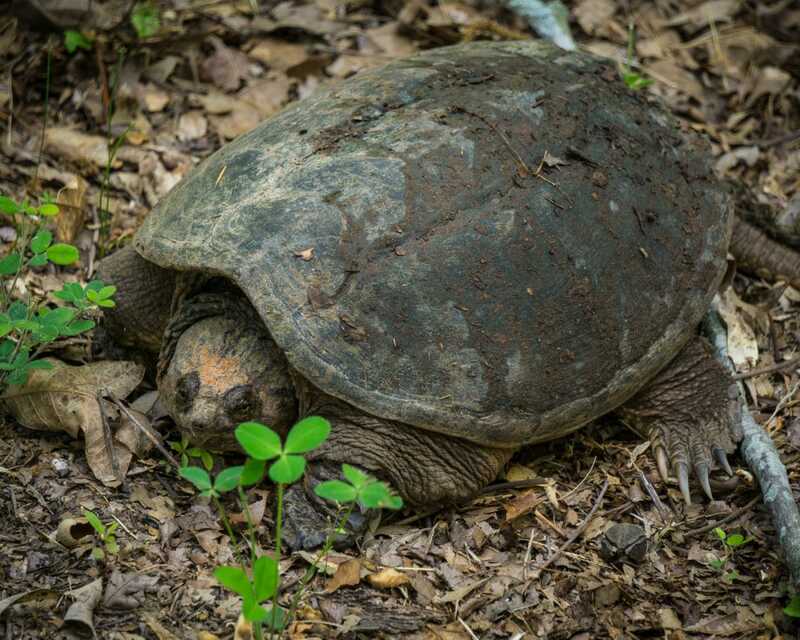 The above ground is full of relatively tame wildlife so keep your eyes open while driving through the park. 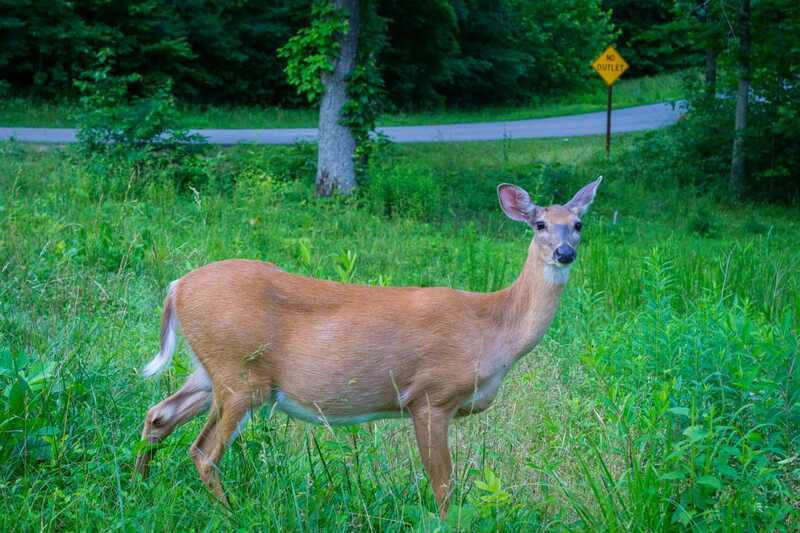 You’re virtually guaranteed to see deer, and you’ll likely encounter some friendly raccoons and hungry squirrels as well (do not feed wildlife!). 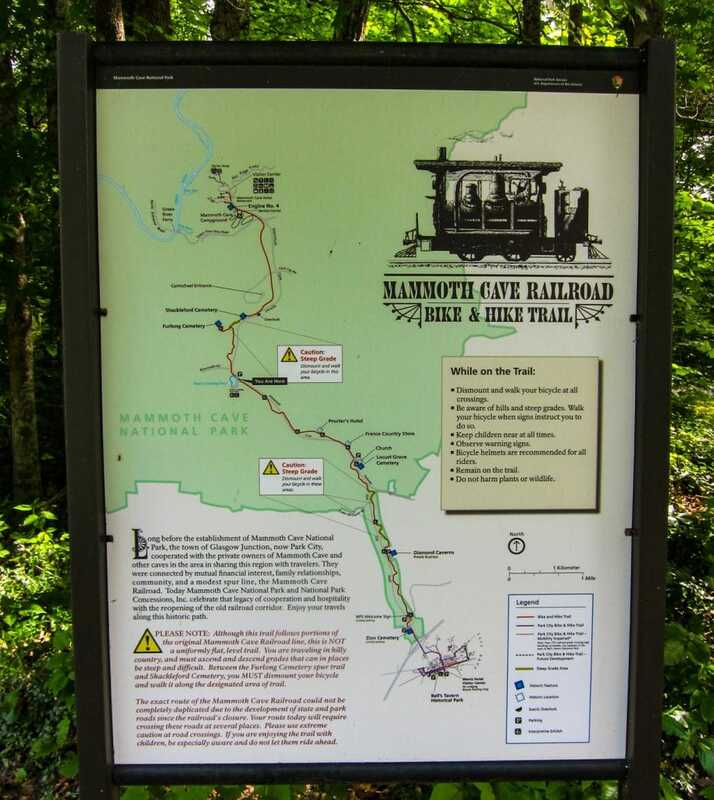 Perhaps my favorite part of Mammoth Caves National Park is the Mammoth Cave Railroad Bike & Hike Trail. 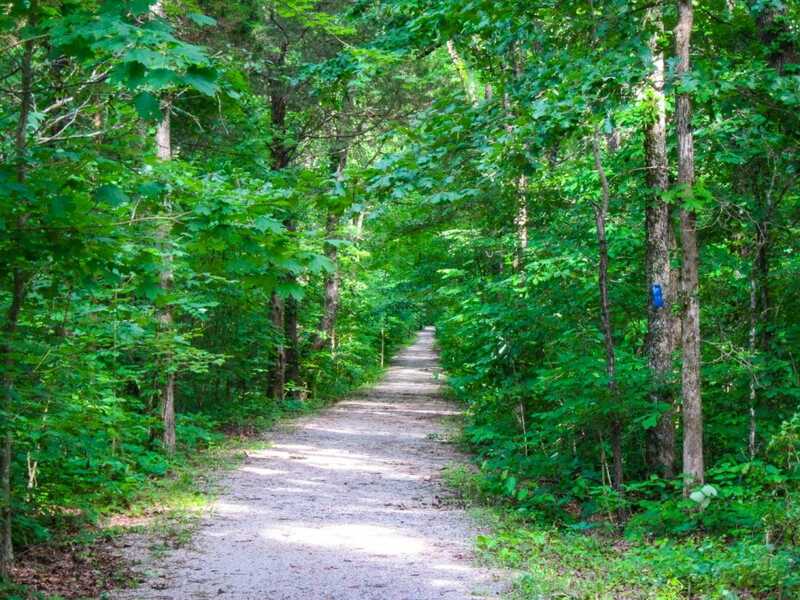 Yes, it used to be a railroad, but now it’s a 12-mile long trail that runs right through the heart of the National Park. 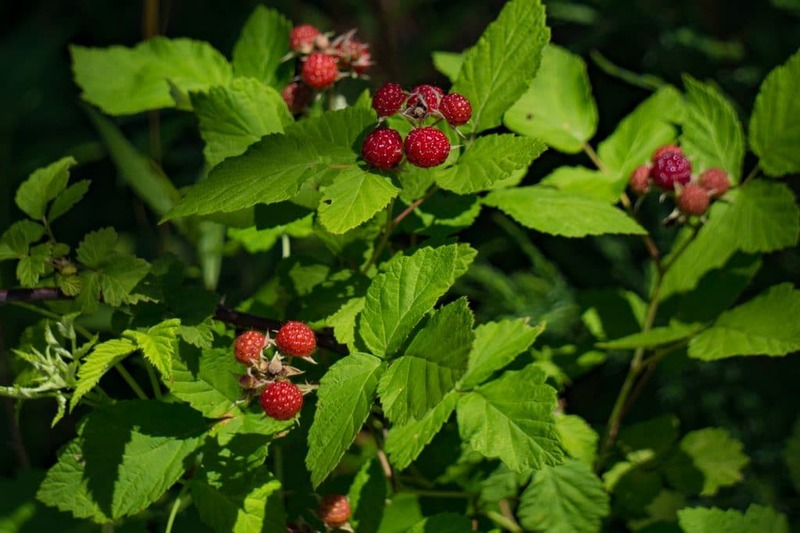 Most of the trail is shady, and covered in wildflowers and wild berries. It’s a great place to spend a few hours hiking or biking – especially during the cooler parts of the day. Of course during the heat of the day (especially in Summer), there’s no better place to explore than the caves themselves. The Cave temperature stays cool year round and tours run pretty much non-stop all day. 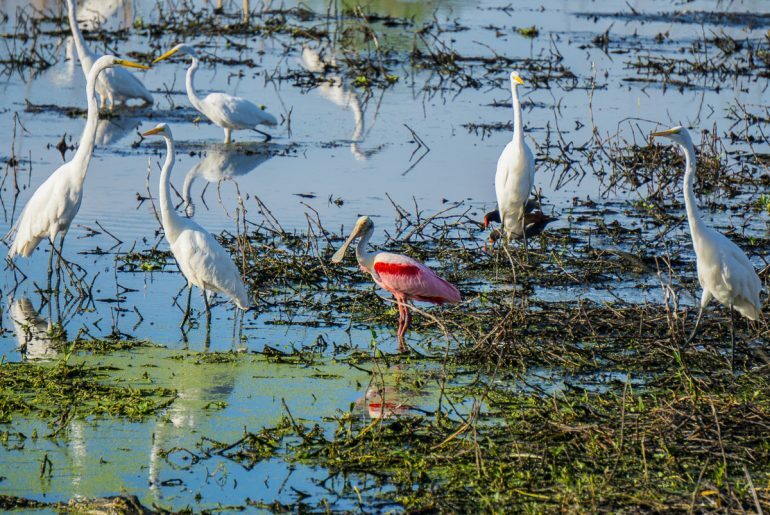 Make sure to get reservations (view schedule here) as the tours sell out – especially on busy weekends. During this visit, we did the Domes and Dripstones tour. This included the ‘Frozen Niagra’ section of the caves with stalactites and stalagmites, and other cool cave features. I highly recommend the domes and dripstone tour. It’s a good value and has some very interesting climbs and squeezes + you will get wet! There are more caves to explore! If you stay at Diamond Caverns RV resort then you can visit Diamond Caverns itself. We didn’t visit this time – we saved our money to tour Mammoth Caves. Just a short drive down the road is Bowling Green, Kentucky. 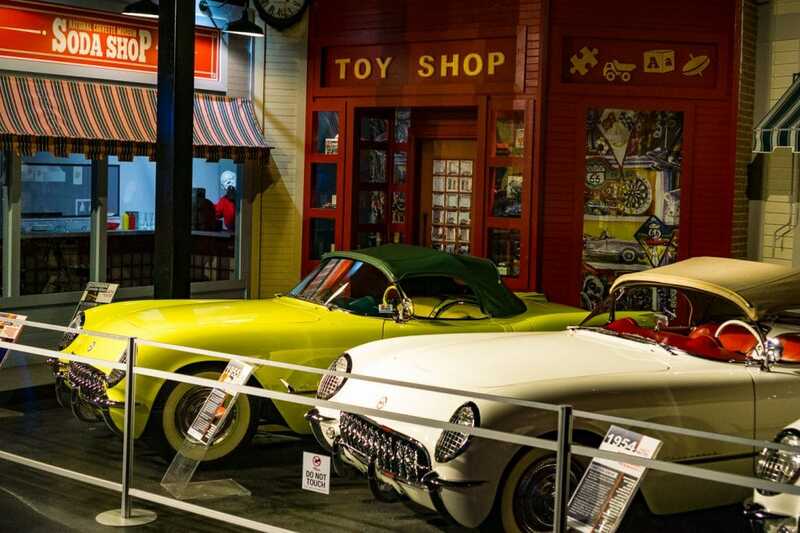 The Chevy Corvette is made in Bowling Green, and as such the Corvette Museum is located there. 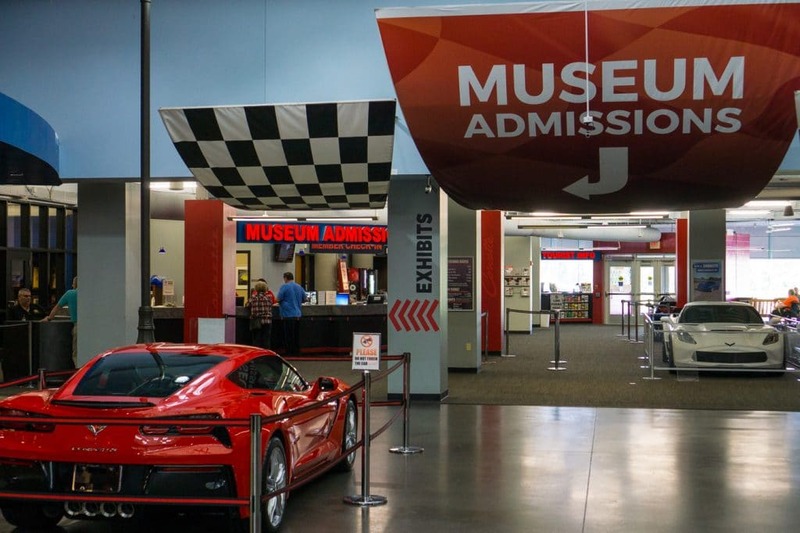 It’s worth a visit if you like cars – plus you can see the Corvettes that were eaten by the ground when a sinkhole opened up under the museum. Plus lots of other cool and vintage Corvettes, of course. Did I mention that Kentucky is absolutely beautiful in the spring? That everything is green and blooming? 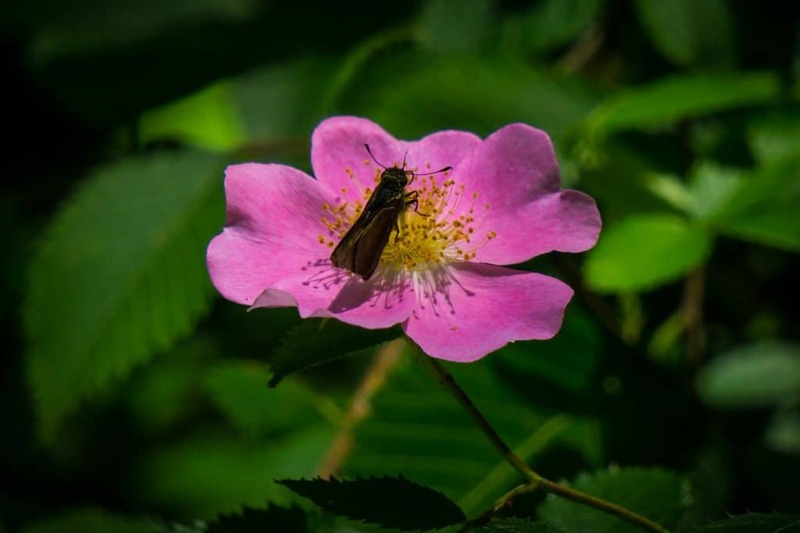 One thing to watch out for in Kentucky is the ticks – especially if you find yourself hiking off the path. I’ve never seen so many ticks as I saw in Kentucky – and this is especially true if you have outside pets. 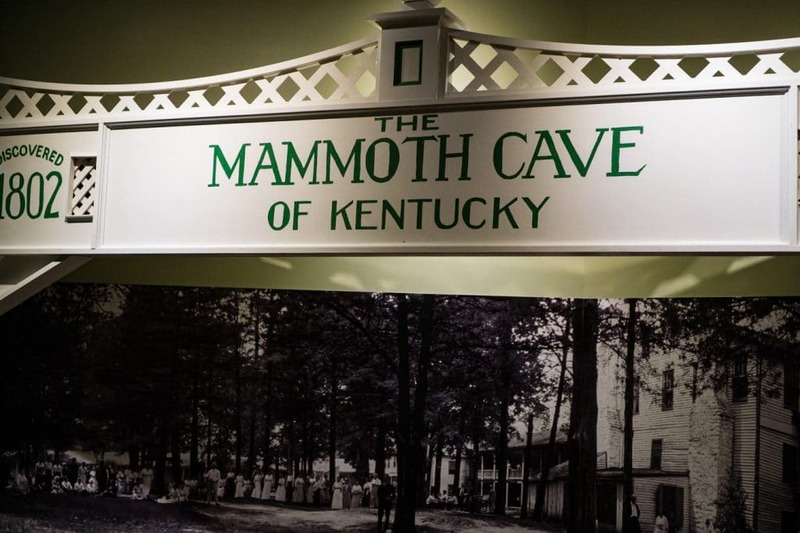 I hope you find this post useful if you choose to visit Mammoth Caves. It’s one of my favorite places in the country, and well worth a visit. Until next time, happy trekking! Hey Rich! Are you back to travelling? We were in Calif in Feb …..short trip for us. If you make it back to BC give us a shout! Hugs from both of us. Hi Stella! I’ll always travel in one form or another. For right now I have years worth of trips and trip pictures that I’m going through and I figured I’d get them added to the website. I’ll be putting up a post showing all the updates Kathy made to the RV soon – stay tuned. I’ll definitely connect if I get to BC – happy trekking to you guys!